Erosion control is a constant concern for landscape architects when designing new projects. 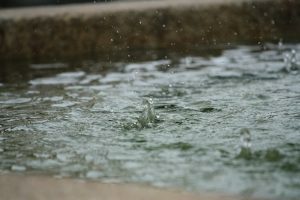 Water is a powerful natural force and flowing water from rainfall or even irrigation can cause a number of problems. Without being properly controlled, water will flow down slopes, carving out gullies, washing away topsoil and transporting harmful fertilizers or chemicals into stormwater systems. Even your expertly crafted landscaping designs can be damaged by erosion. Both the environmental and monetary cost of erosion can be massive. This is why careful consideration must be given to the materials used in landscaping and the installation of proper drainage systems from the beginning of the project – it can be possible to fix the problem after the fact. There is also an increasing range of environmental regulations that mandate erosion control and force projects to minimize runoff into stormwater systems . Industry environmental standards such as LEED also consider drainage and erosion control . Let’s begin by looking at high erosion environments in landscaping, so you can better identify the trouble spots before you get started. While almost any environment is susceptible to erosion in some way, there are some specific areas that are much more prone to this. If you encounter any of the following in an area you are landscaping, you need to be particularly alert and take steps immediately to manage erosion. If you choose to ignore the problem, you risk considerable cost to fix it later, or may even breach local environmental protection laws. Even a slope with a gentle gradient can increase the velocity of water run-off significantly . Erosion increases in line with the velocity of water run-off . Heavy rainfall in areas with unprotected slopes can result in topsoil loss and can lead to this eroded material clogging stormwater systems and waterways. Loose soils, such as soils with a high sand content are particularly susceptible to erosion . While these types of soil allow for infiltration which slows water velocity, they can be eroded if large amounts of water, or water at a high velocity flows across it. If your project area has loose soil, you need to invest in the right drainage systems to divert any excess run-off. Areas with poor drainage, especially those with large areas of impermeable surfaces or impermeable rock just underneath the surface are susceptible to erosion . Any area that experiences high rainfall is susceptible to erosion. When planning projects in areas of high rainfall, the use of impermeable paving materials needs to be carefully considered, as they can compound the problem. You will also need to plan drainage and stormwater systems carefully to avoid flooding. Areas that have high amounts of canopy cover will reduce raindrop impact and the overall speed in which the volume of water accumulates on the surface below. Conversely, areas with low amounts of canopy cover can result in maximum impact velocity and unimpacted flow rate during heavy rain storms. Areas with high amounts of canopy cover also provide shade that reduces the water evaporation rate on the surface below. Areas that are lacking canopy cover can exacerbate the evaporation of the water from the surface, allowing for faster recharge of the system. Areas of exposed ground are highly susceptible to erosion. Without plant or paving cover, soil can be easily eroded. Plant roots help to hold soil in place and also play a role in absorbing excess water. This problem is particularly severe when the soil is thin and a layer of bedrock is present just below the surface . If you are planning any landscaping project, then you need to carefully consider the paving materials you will use and how they can impact erosion. This is especially true in areas, like those already identified, that are high risk. With the right paving choice, you can limit or even eliminate the risk of erosion and also have a positive effect on the environment. 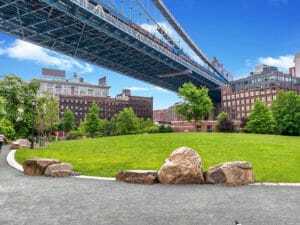 Concrete and asphalt are among the most popular paving choices in the US and on first appearances, they would seem to effectively control erosion. While they do provide a hard covering for soil that can prevent erosion in that specific location, the impermeable nature of these materials causes other problems. Because water cannot infiltrate through these surfaces, it runs off at a high velocity, which can cause erosion in surrounding unpaved areas . The runoff from these surfaces also typically has a high concentration of chemicals and other pollutants which then flow into stormwater systems, causing environmental damage. Studies have shown surface runoff from asphalt to have concentrations of harmful compounds as high 95 mg/l . In response to environmental concerns with impermeable surfaces, new formulations of both concrete and asphalt were created that allow water infiltration. These permeable versions of both concrete and asphalt allow for water to enter the water table, but still at a slower rate than natural surfaces. The biggest positive of these surfaces is their ability to combine permeability with the traditional stability of concrete and asphalt . However, permeable asphalt and concrete are not the most attractive surfaces. Many consider them to have an unnatural appearance, while also not having the traditional ‘clean’ look of a hard surface. When using these materials, much more thought must be put into the preparation of the base layer and provision of drainage systems to account for the increased infiltration rates. There is also the lifetime cost of maintaining these surfaces. Permeable concrete and asphalt must be regularly cleaned/vacuumed to remove dirt and debris. Without this regular cleaning, the surface will become irreversibly clogged, stopping any further infiltration . Loose aggregates like gravel, stones and pebbles go a long way towards addressing the permeability issues of concrete and asphalt and can give a more natural aesthetic. By allowing water to infiltrate and replenish groundwater, they also help to prevent destructive erosion . They also limit run-off, which stops fertilizers and other chemicals being introduced to local waterways. However, if there is particularly heavy rainfall the aggregate itself can often be eroded. This leaves the ground exposed and if the path is left in disrepair future rainfall can cause further destructive erosion. In order to address the fragility of loose aggregates, products such as Organic-Lock™ have been developed to help stabilize paved areas where loose aggregates are used. In laboratory testing, aggregate blended with Organic-Lock™ performed 97% better than unstabilized aggregates in a rainfall simulation that experienced an average of 9.8L/minute (2.58 gal/min) of rainfall over a 2 hour run. This effect is achieved using natural compounds that expand and hold the loose aggregate together when exposed to water. Using stabilized aggregates like this allows you to retain the benefits of natural aggregates, without sacrificing strength and durability. Runoff Diverters – Are often used to manage runoff from buildings and other structures. They divert the water into designated drainage that can accomodate the flow without damage . Water Collection Devices – Capturing water in storage tanks can allow you to control the release of water into your drainage system and can even provide water for irrigation of gardens and lawns . Grass and Shrubs – Planting grass, shrubs and other vegetation is a great, natural way to control erosion. The roots of plants hold soil together, while the leaves and other foliage slows the velocity of heavy rainfall . While all of these have a place in landscaping projects, you should also consider general watershed management when you are in the planning stages. Consider the location of your site and how it sits in the overall watershed. There is no use managing erosion on your site only to have high velocity runoff from neighbouring plots erode away your hard work. If you look at possible sources of run off nearby when planning you can account for them and avoid this problem. For more information about controlling erosion for your next project, or to consult about paving material choice, contact an expert for a consultation today.